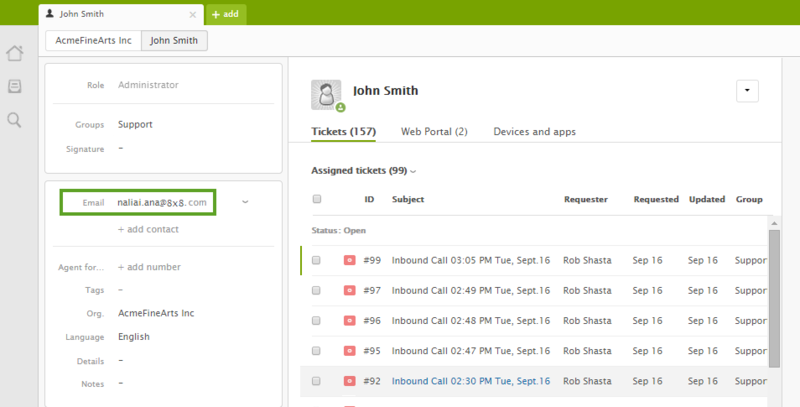 Virtual Contact Center supports open Computer Telephony Integration (CTI) with Single Sign-On access from the native Zendesk environment. 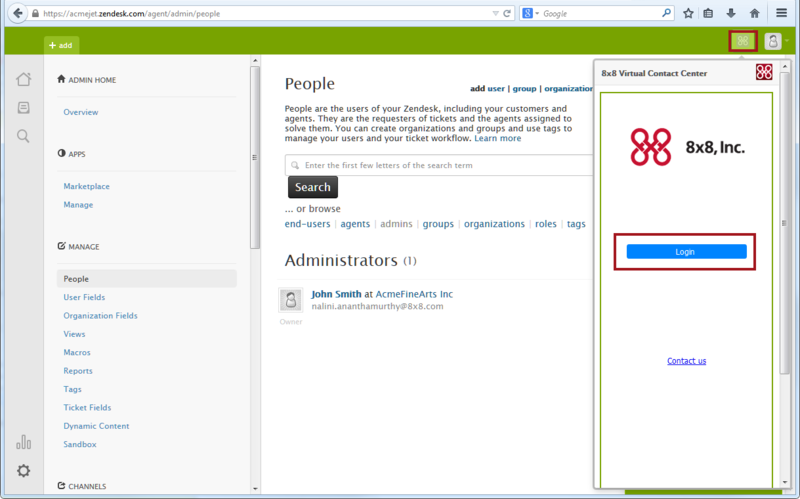 Zendesk users can launch 8x8 Virtual Contact Center app with just a click and reap the benefits of the integration. Log in to Zendesk account as an Administrator. Click at the left bottom of the page. Click Manage link to open the Manage Apps page. Click the Settings next to the 8x8 app. 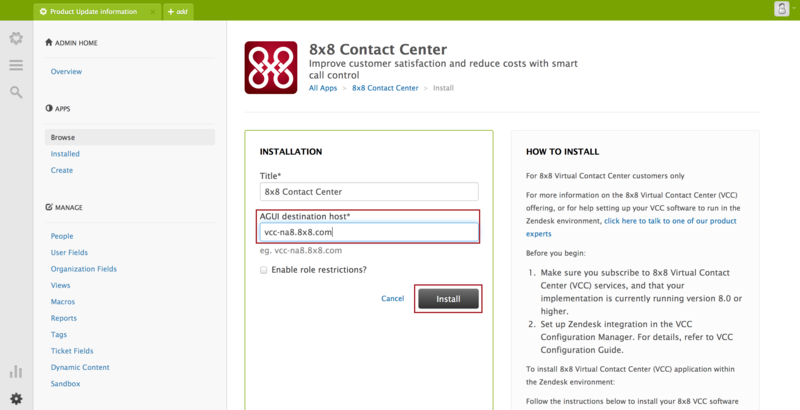 Enter 8x8 Virtual Contact Center for the Title. Enter your Tenant’s name for the SSO to be enabled. Note: If you do not provide the tenant name, SSO is disabled. The Virtual Contact Center app asks for your credentials the next time you log in. The service name is the web address where your help desk is hosted as in https://subdomain.zendesk.com. Enter the Login URL. Append /access/login to the service URL as in https://subdomain.zendesk.com/access/login. 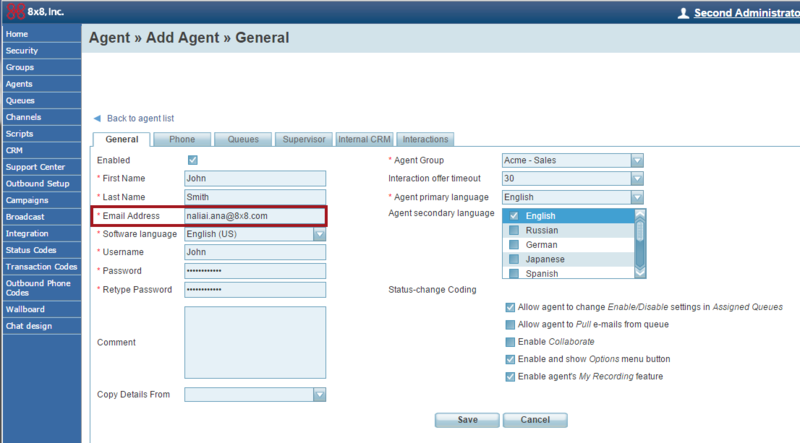 An auto log is triggered when a phone or chat interaction using the 8x8 Virtual Contact Center application is terminated. An auto log captures transaction details of interactions. For example, a call log includes information such as the call answered time, call duration, call termination time, and more. 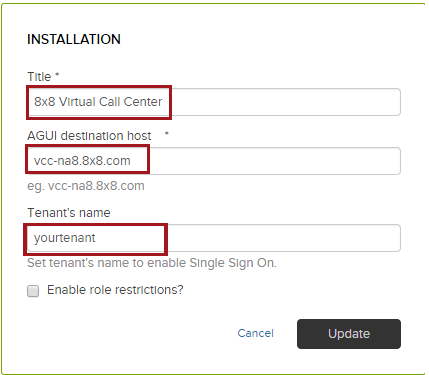 For Zendesk users to log in to 8x8 Virtual Call Center, you must ensure agent accounts in Virtual Contact Center are configured using the same email ID as the corresponding Zendesk user login. Log in to Zendesk application. Click Profile and locate the agent’s email address. 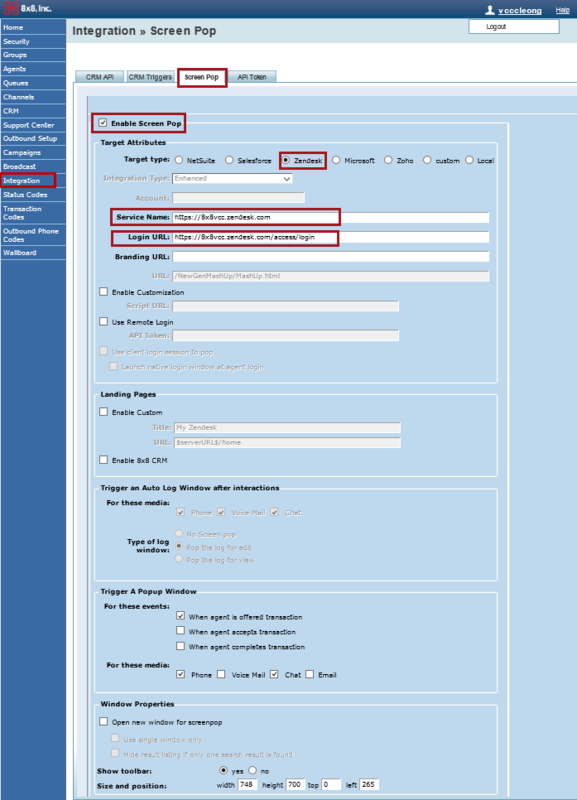 Log in to Configuration Manager and click Agents tab. Make sure the agent's email address matches the Zendesk user ID. On the top right hand corner of the Home screen, click the 8x8 app . Click Login. You are logged in automatically. The app launches placing you on Break status. For more information on agent status, refer to the Quick Start Guide.